I can't get over my excitement at today's announcement by the LIGO (Laser Interferometer Gravitational Observatory) team. If, somehow, you've missed it: a century after gravitational waves were first predicted as a consequence of Einstein's Theory of General Relativity, gravitational waves have been detected. Adding to the wondrousness of the announcement is that this particular detection also provides the first-ever direct confirmation that black holes -- another implication of General Relativity -- also exist. A paradigm-shifting theory a century young. An experimental quest begun way back in 1972. The sensitivity to detect ripples in space-time, each passing ripple momentarily changing an aspect of the measurement instrument by less than the width of a proton. And let's not forget the source of those tiny ripples: a cataclysmic event that happened 1.3 billion light-years from us! 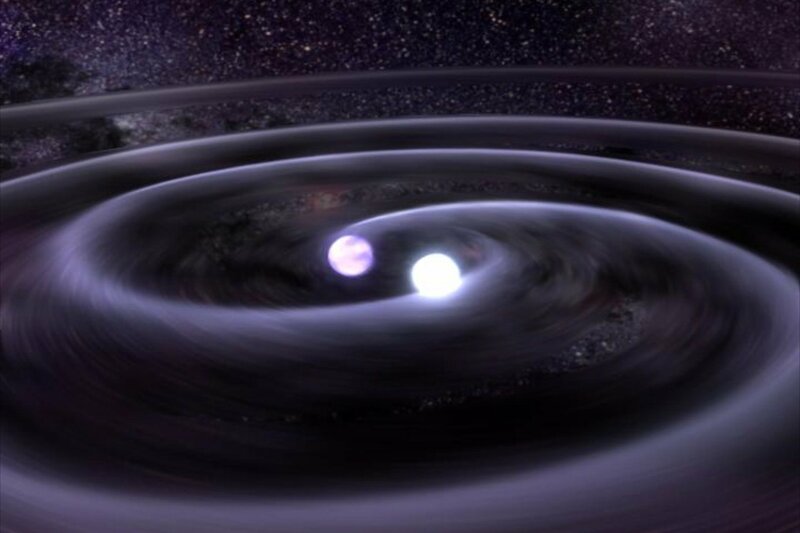 Two colliding black holes that, in a trice, converted into energy the mass of three suns! Why am I so excited? At a triumph of physics? Of course! But more so at a triumph of human intellect in general, and of the human spirit. Today's LIGO announcement is a testament to the amazing things humans can accomplish. We live in a world rife with terrorism, overwhelmed with refugees, torn by civil wars, and plagued by failed states. Our political system seems broken. Our social discourse, especially in social media, is too often just ... coarse. If ever we needed an uplifting reminder of the great things humanity can accomplish, this is the time. Certainly, at least for a little while, I find my spirits uplifted.